There’s more to medicine balls than just the obvious stuff of throwing and doing ab twists. These balls provide a simple yet effective way of building explosive power and core strength. Medicine balls have a long history that dates back to the time of gladiators. Since then, it has been redesigned by elite trainers transforming it into one perfect exercise companion. The balls come in different designs, materials, and sizes. 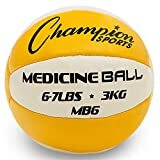 You might find this list of the top 10 best medicine balls a worthy consideration before rushing in to make your purchase. Just starting on an exercise routine? This medicine ball might just be what you need to improve your flexibility. Weighing at 6 pounds, the ball comes in handy to exercise the upper and lower body. The ball works to develop coordination, balance, and core strength. It’s made of sturdy rubber to give you the bounce you need. The surface is textured to provide a serious grip. It’s one of the greatest options you can have for classic medicine ball workouts. Want a classic, heart-pumping challenge? 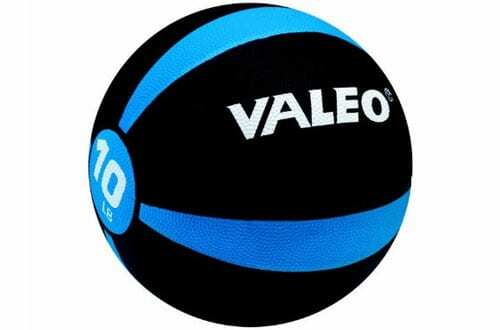 Valeo medicine ball is among the best balls for the task. 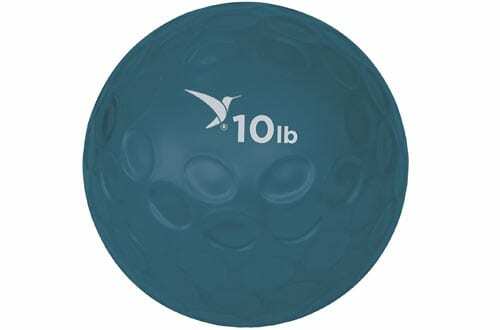 This 10-pound ball comes sturdy in a rubber construction that sports an impressive bounce. A textured surface ensures that you don’t lose your grip. The ball is designed to develop endurance, core strength, coordination, and balance. It comes with an exercise wall chart to help monitor and keep track of your workout progress. 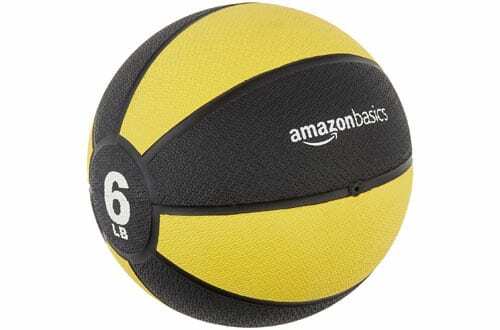 This quality medicine ball makes a perfect exercise companion for years to come. 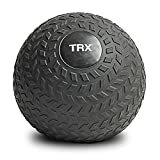 This workout ball makes a great choice for both novice and advanced users. 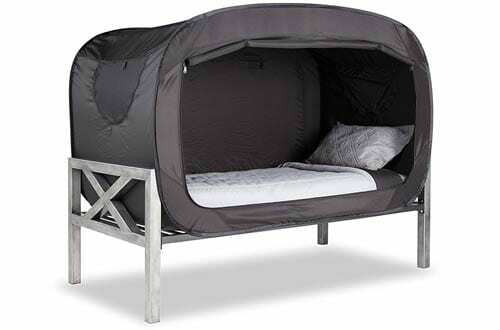 It sports a soft outer shell designed to absorb impact for improved explosive training. The ball has a double stitching optimized for durability. 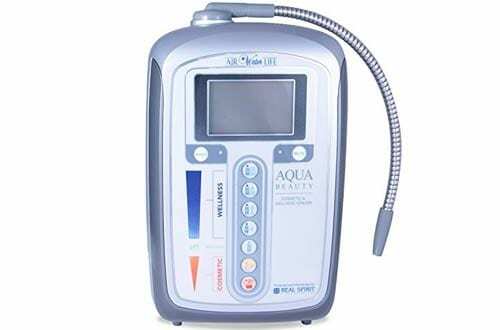 It’s specially designed for core strength training, cardio workouts, and balance exercises. The ball weighs 20 pounds and is built to always maintain its shape. It’s a great medicine ball that holds up well to abuse. 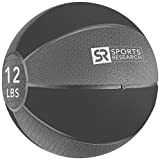 An ideal bouncing and partner wall exercises, this ball comes in handy to help build core strength and improve coordination. 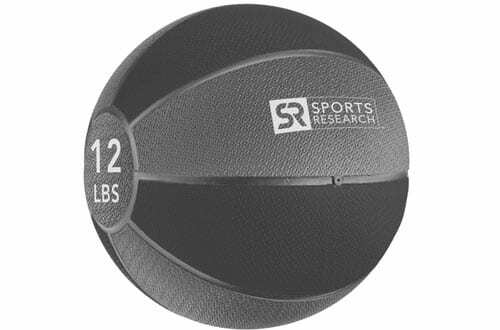 The ball is available in increments that range from 2 to 12 pounds. It sports a single textured surface made of thick rubber material. The ball provides the convenience of a tacky grip that provides total control over the ball. 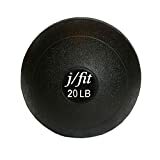 Beginners or anyone that wants to add some more weight to their workouts will find this medicine ball a great choice. This ball takes classic medicine ball workouts to new heights. 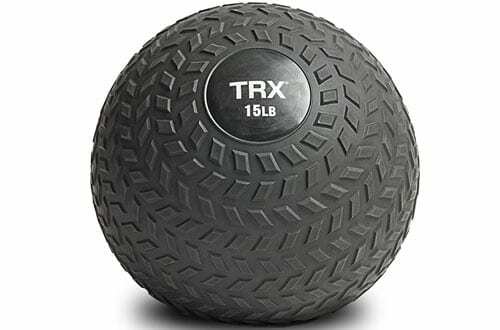 This 12-pound ball provides a full-body workout. 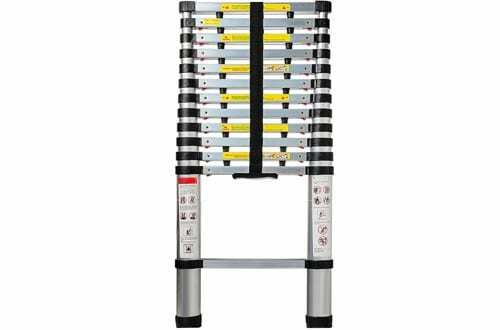 It’s a handy choice for those that want to develop coordination, core strength, and balance. 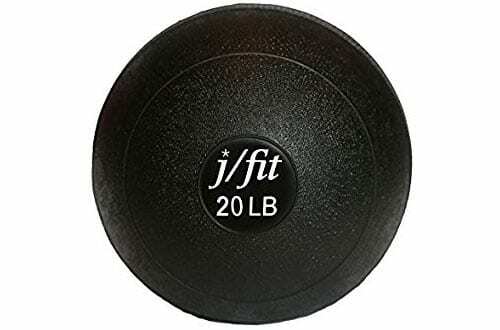 The ball is made of sturdy rubber that creates impressive bounce off hard surfaces. It’s textured to provide a sure grip and allow for improved ball control. 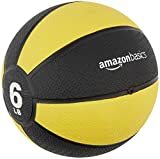 This is a durable ball that will provide months of endless exercises. 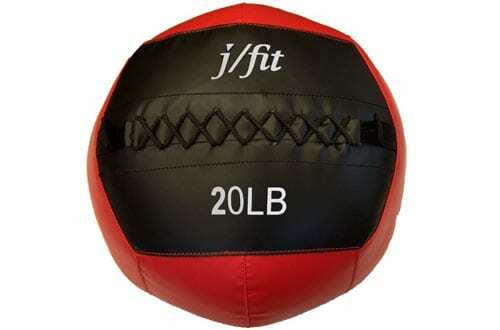 Looking for a cross trainer medicine ball that never disappoints? This ball is worth putting into consideration. It sports a newly designed construction made of durable leather. The leather has a tacky grip designed to give you total control over the ball. 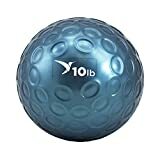 This is a ball that’s built to withstand the test of time and hold up well to extreme exercises. 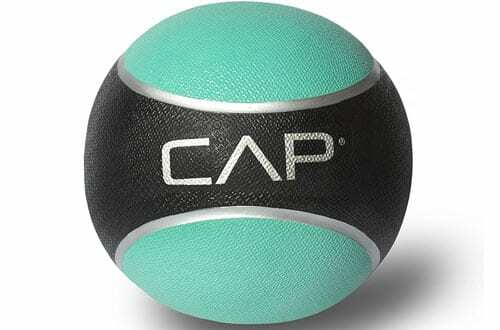 The ball is available in 5 different sizes and helps improve core strength, cardio flexibility, and build muscle mass. This easy-grip slam ball lets you unleash your power. The ball engages the whole body in a high-intensity workout. It helps build strength, cardio flexibility, and explosive power. A rugged construction sporting an ultra-durable shell means that the ball can stand up to any abuse. The tough rubber shell absorbs impact in every dead bounce. A highly textured surface provides a sure grip you can trust. 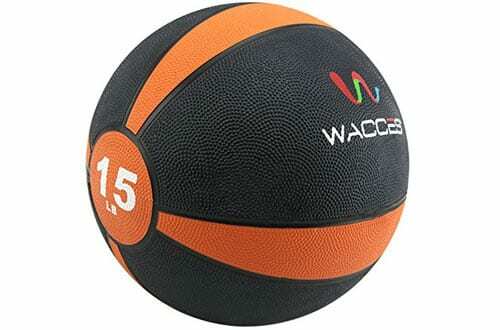 The ball is available in 9 different sizes ranging from 6 to 50 pounds. 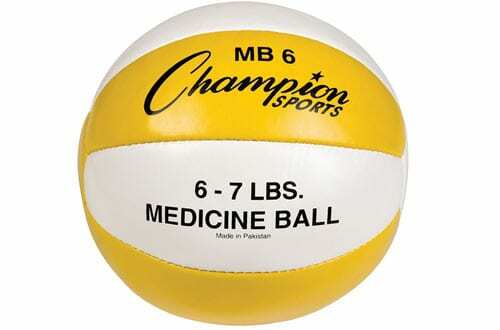 Compared to most medicine balls, this ball comes softer. But it doesn’t disappoint when it comes to providing the sure grip you want. The ball has the great convenience of fingertip grips. It tones the entire body and helps improve mobility, core strength, and coordination. The ball is available in 6,8, and 10-pound sizes. It comes with a DVD, which is a great plus in your workout. Want a perfect alternative to hard, cross-trainer balls? Well, this is the ball to look out for. Increase muscle power and develop core strength with this medicine ball. 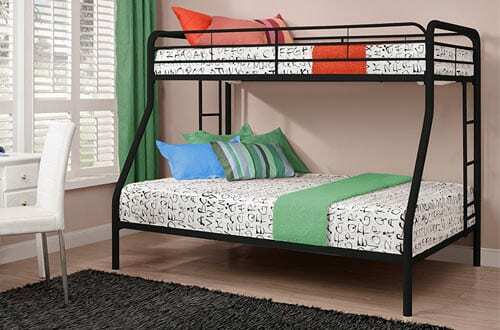 It has a sturdy, rubber construction that provides repeated bounce without wearing off. The surface is textured to provide a stable grip. 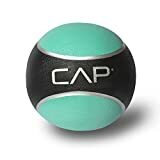 This ball comes in a 15-pound size and makes a great option in sports therapy, warm-up, and cool-down exercises. This is a ball that will make your workout perfect. Don’t wait to get explosive power and add some bit of muscle mass. These medicine balls are just what you need to get you started and keep you on track. Go safe by choosing one that matches your skill level. Who knows you might just land yourself the perfect medicine ball you’ve always wanted.